Glorify. Edify. Testify. Welcome to GOD & GRIND, a podcast for Christian entrepreneurs and breakthrough believers. We glorify God, edify entrepreneurs, and share the testimonies of brothers and sisters making a Kingdom impact with their GRIND. 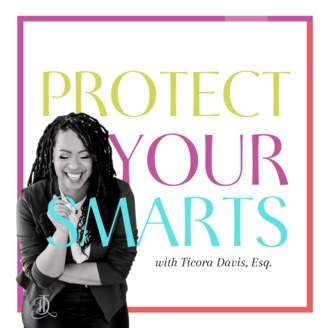 Hosted by Ticora Davis, attorney for creative entrepreneurs and founder of The Creator's Law Firm, GOD & GRIND explores how entrepreneurs of faith balance business, marriage/courtship and the pursuit of Christ above everything else. Follow Ticora Davis at @CreatorsLawyer. Follow the show on Instagram @godandgrindpodcast. Email us at ticora@godandgrind.com. The workforce market is tough to navigate without encouragement, guidance, and the help of the Holy Spirit. Courtney Rhodes knows this all too well. After finishing law school, she lack career direction and had no help to navigate the process. During her unemployment, God used her time to figure out the process. She figured it out so well that she was hired as a HR professional. In fact, for over 5 years, she has worked as a Corporate Recruiter, HR Manager, and Career Counselor. Because of her vast knowledge of how the hiring process works, she created The Career Society where she helps professionals become more career-driven and take authority over their career paths. Based on her personal and professional experiences, Courtney utilizes everything to assist her clients achieve career success. Assisting professionals find their career is her calling. She takes great joy and pleasure when her clients hear those golden words "you've got the job." 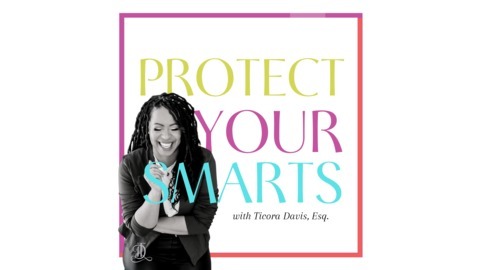 Sponsor: The Creator's Law Firm helps you protect your smarts.